WASHINGTON CITY – He was the King of the Cowboys and she was the Queen of the West but to Cheryl Rogers-Barnett, Roy Rogers and Dale Evans were simply Dad and Mom. Cheryl Rogers-Barnett has delivered another humorous and heart-warming collection of stories about her family. Her second book about life as the oldest sibling in the family, “Cowboy Princess Rides Again” was released this month and is already generating a buzz. This time, she’s included information about caring for her aging parents along with more stories about growing up in a large blended family led by two working actors. At the urging of her parents’ doctor, Rogers-Barnett put together two chapters on the logistics and challenges of caring for her parents. 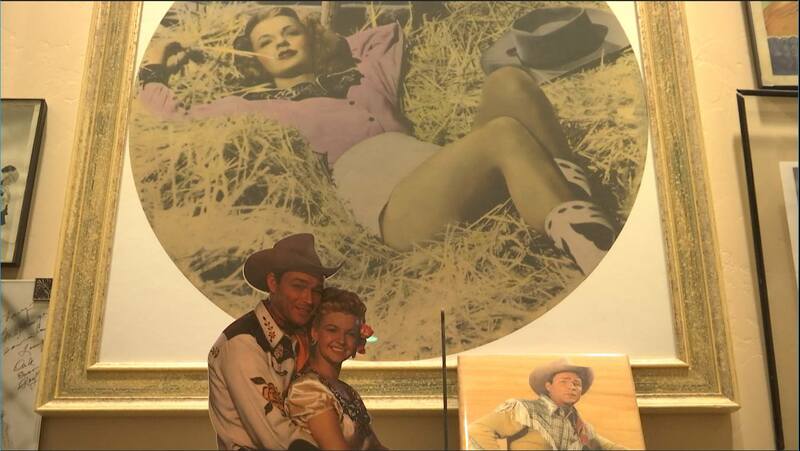 Cheryl and her husband Larry Barnett moved to Apple Valley, California, at the request of her father, to take over operations at the Roy Rogers – Dale Evans Museum in the early ’90s. Within a couple of days of her arrival, she sensed that something was wrong, Rogers-Barnett said. Roy Rogers was suffering from hallucinations in the morning and having difficulty remembering things at times. Dale Evans talked about “little sinking spells” she was having. While she knew something of her parents’ health status, Rogers-Barnett said, she was surprised at the number of health issues they faced and the daunting number of medications involved in treating those problems. Some of those problems were related to illness and others were caused by the patients themselves. After filling three shopping bags with medications she found in the house, Rogers-Barnett took them to a local pharmacist and asked what would happen if one person took all of the medications she’d found. It wasn’t a surprise when he told her it would be a lethal combination. After a review of the meds actually prescribed to her parents, conflicts were identified and Rogers-Barnett brought her parents under the care of one primary physician who oversaw their treatment and tracked the work of specialists they were seeing. Along the way, the mystery of Dale’s “little sinking spells” was resolved. After several days on a heart monitor, doctors determined that Dale’s heart occasionally stopped beating – shortly thereafter she received a pacemaker. Once her parents’ health issues smoothed out, Rogers-Barnett was faced with the challenges of caring for two aging movie stars. Rogers-Barnett took charge of two crews of caregivers running a 24-hour schedule seven days a week. She did become an expert on caring for Roy and Dale. The book offers guidelines for others on how to ensure quality care for one’s parents. Her top three pieces of advice include asking questions of every doctor involved in your parent’s care; designating one doctor as the main physician if your parents are under the care of several specialists; and have determination when searching for the cause of symptoms. Rogers-Barnett cared for her parents until they passed away, Roy Rogers in 1998 and Dale Evans in 2001.